I will be DJing at the Cut Hands party tomorrow night. This will be my first time at Solfa since December 2013 and I am looking forward to it. I am planning on playing a quite rhythmical and percussive set (at least by my standards). 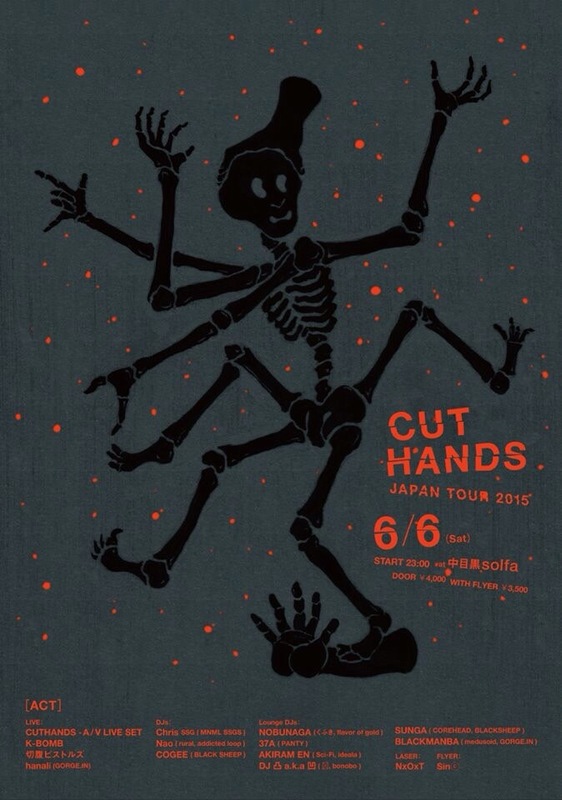 Cut Hands was excellent on previous visits to Tokyo, I was impressed by his sets at Dommune and Unit, and I am interested to see how he has updated his liveset. I’ll be opening the night, my set time is 23:00 – 00:30. Come down if you want, and email me by the end of today if you’d like discount.